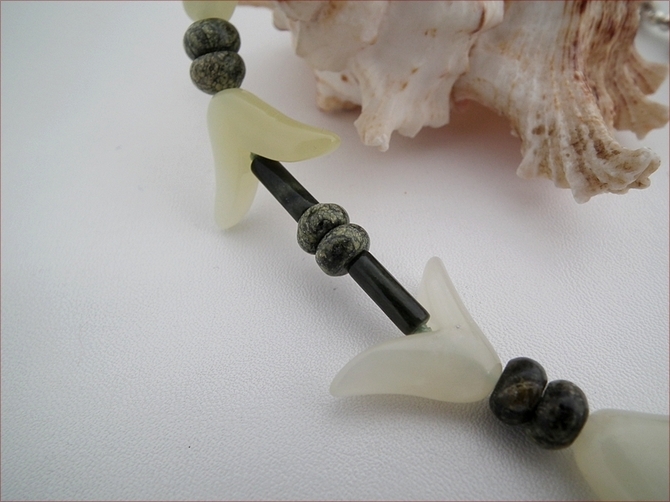 Serpentine is a silicate mineral found all over the world - including Cornwall in the UK. It's slipperiness and colouring gave rise to the name serpent stone. Lighter stones are sometimes confused with jade, but where serpentine polishes to a soft, waxy lustre, jade polishes to a bright glassy lustre - and is tons more expensive! 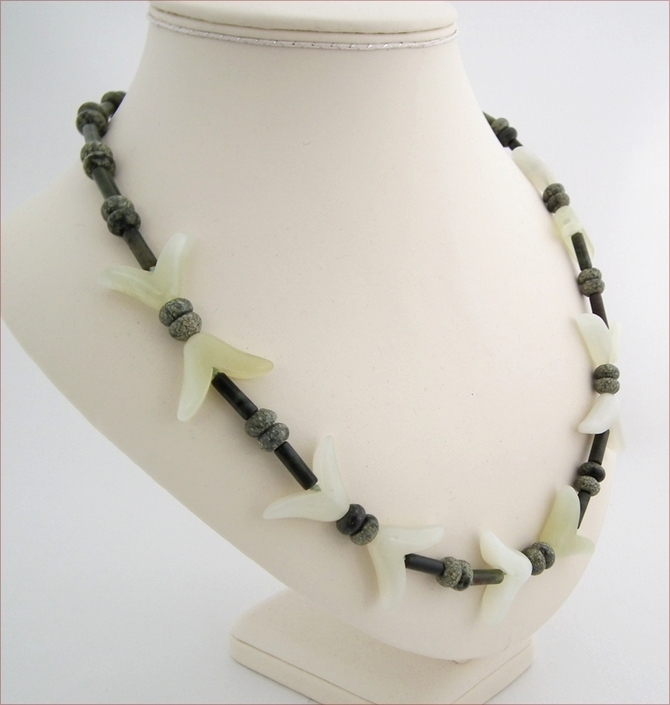 The aventurine petals also have a jade-like quality and contrast perfectly with the darker serpentine. 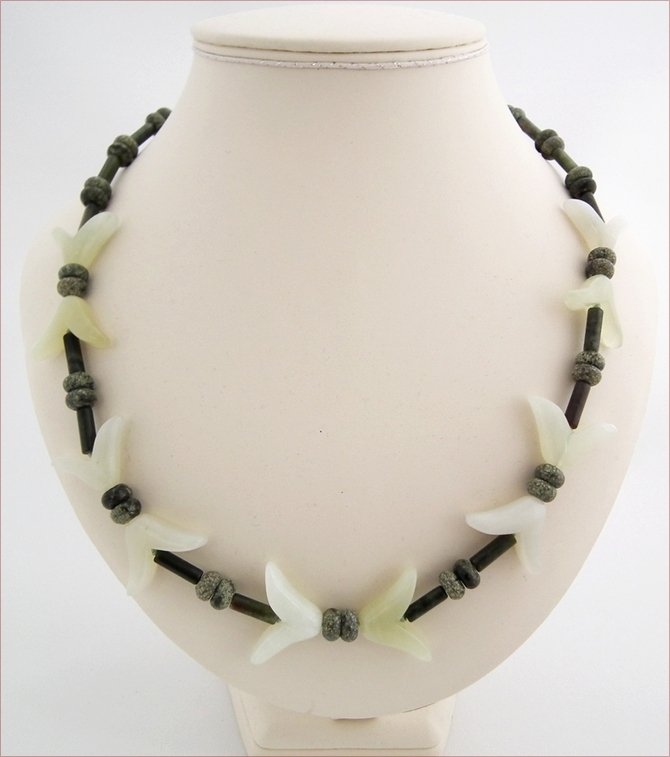 I strung the tubes and rondelles on nylon silk cord and knotted inside each of the petals, with the idea of the petals looking like shoots or leaves. But the overall effect has more movement so I call it Flights of Fancy. 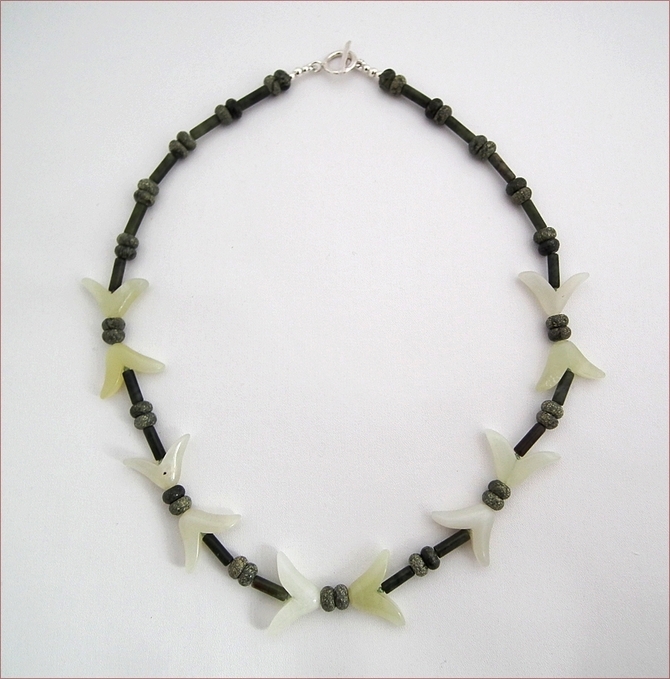 The necklace is 23" (590mm) long and fastens with a hammered Karen Hill Tribe silver (purer than sterling) toggle clasp, with sterling beads either side. 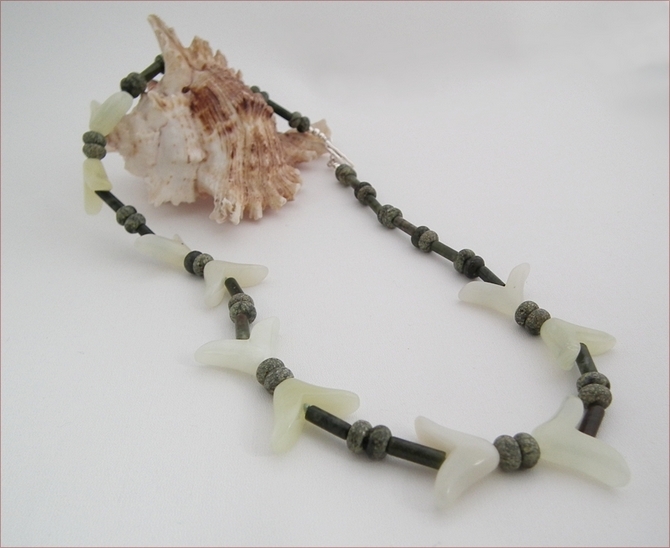 I love this necklace - it would look really good over a fine knit polo neck jumper or peek out from a dark green check shirt.